Do you have spiders in your home or business but aren't sure which species you have? It's best to just call the team at PureGuard. We would be happy to come out and take a look. Then, we can come up with a plan of removal that is based on the type of spider and threat level to occupants. With our proven techniques, we can quickly and effectively control both indoor and outdoor spider infestations. 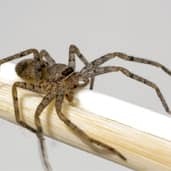 Our pest control specialists have vast skill in removing spiders common to Tennessee, including wolf spiders, American house spiders, cellar spiders, the brown recluse and Southern Black Widows. 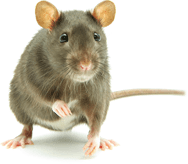 Some of these are harmless and are more like nuisances, while others can actually be very serious. Many come with painful, red, itchy bites, such as the zipper spider. Spiders gain entry into your home through loose screens as well as cracks under doors, windows, and other openings. They come in searching for food, mates, warmth, or moisture. Other insects in the home may also attract them as potential prey. Spiders also get a ride into your home on pets, plants, firewood and clothing. Anything you store in the attic or in the basement could be infested with spiders. If you are facing a spider infestation, call PureGuard for comprehensive pest control in Nashville, TN. We would be happy to give you a free inspection and quote on spider removal at 615-502-2855.